If you follow me through my social media channels you'll know that not only do I like to check out new restaurants, I love cooking at home too. But cooking at home isn't always easy for me after a twelve hour shift - especially if it's my third in a row. Back in November I tried out the weekly meal subscription service by Chefs Plate and was impressed by their business model and quality of ingredients. Their weekly delivery of ingredients and easy recipes made healthy eating and meal planning so much easier. 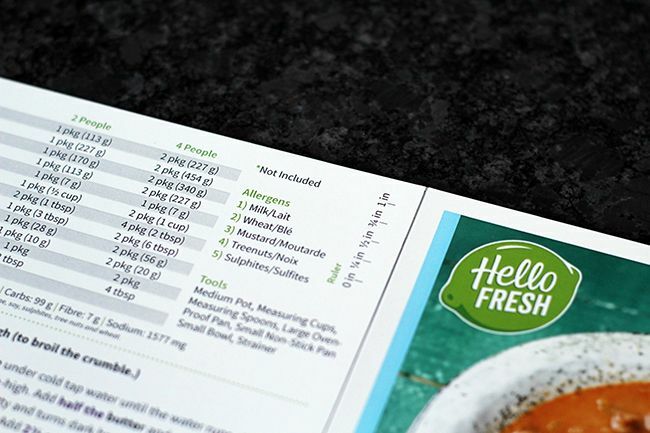 At the start of 2017 Hello Fresh emerged on the Canadian market as an alternative to Chefs Plate, so I had to find out if there were any differences between the two! 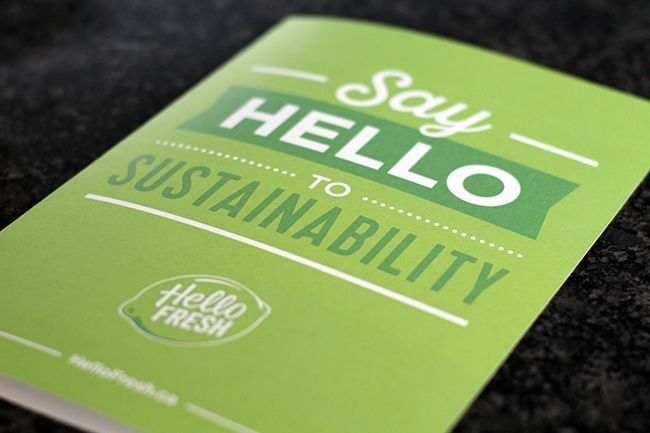 Hello Fresh was actually founded in 2011 in Berlin and operates in several locations in Western Europe and North America. 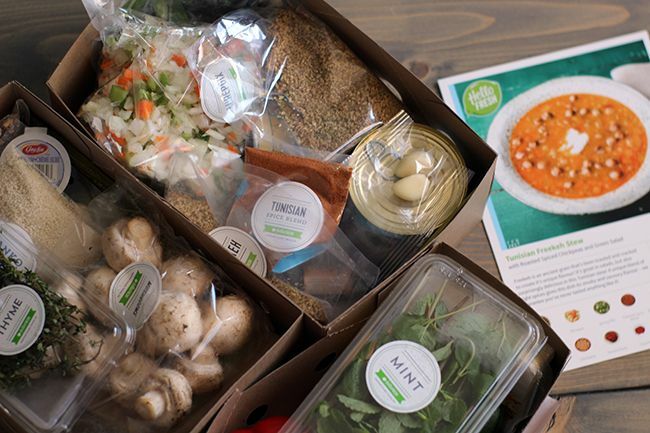 Similar to Chefs Plate, Hello Fresh is a subscription-based meal delivery service that promises to deliver local, farm-fresh ingredients to your door with chef-curated recipes. 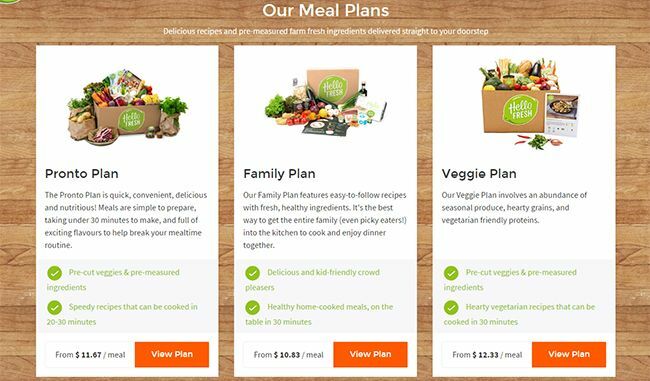 Hello Fresh offers three different types of boxes: the pronto plan, family plan, and veggie plan. The price changes according to the type of box and the number of people you're ordering for (2 or 4 people), so you're looking at spending anywhere from $10.83 to $12.33 per person per meal depending on your preferences. As it is a flexible subscription service there is also the option to skip deliveries if you're planning to be away for the week or have different dining plans. The week prior to your delivery, pick and choose the meals you want according to your meal plan (pronto box, family box, veggie box), and specify your delivery date (Tuesday or Wednesday). 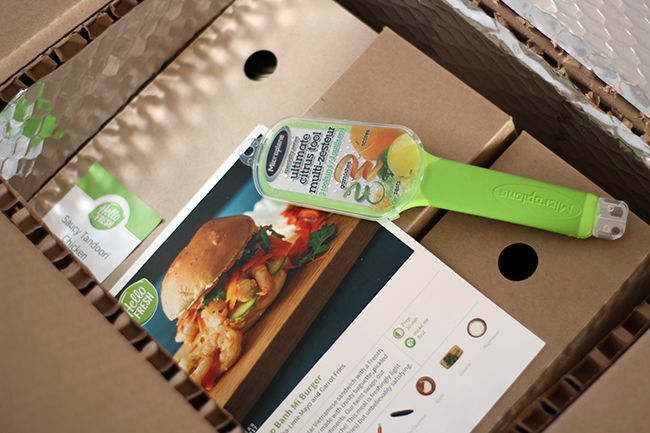 Hello Fresh will purchase, portion, and package all of your ingredients and ship it right to your door. Receive your box and get cooking! 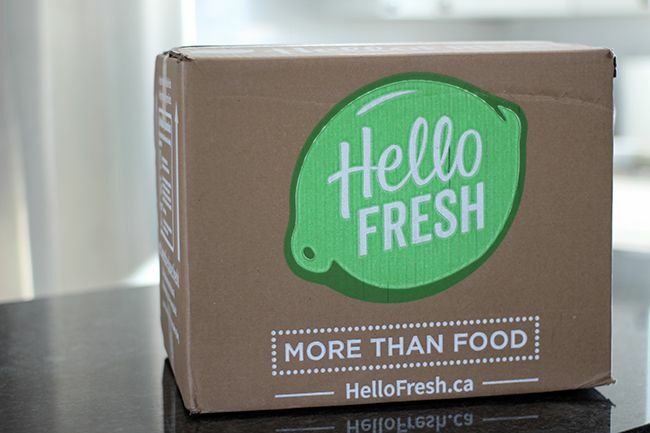 Hello Fresh currently offers delivery via Purolator to Ontario, Manitoba, Saskatchewan, Alberta, British Columbia, Newfoundland, and the Maritimes. The company is quickly expanding to meet demand and will hopefully make it to your province soon if you're outside of these areas. 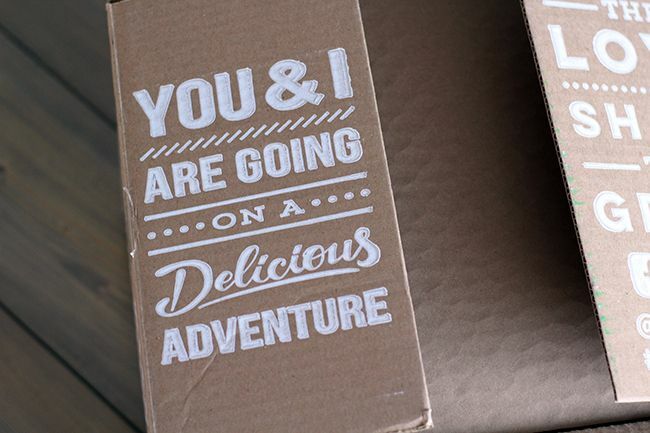 Deliveries arrive at your door in a fully insulated box with ice packs to keep all the ingredients fresh, so you don't even need to be home at the time of delivery. That's what I call convenience! Hello Fresh set me up with a two person pronto box and a two person veggie box to try and I was very impressed with both plans. All the dry ingredients and vegetables arrived fresh while the proteins were packed separately at the bottom of the box with the ice packs. The recipe cards were visually appealing and easy to follow with pictures accompanying each step in the recipe. Like Chefs Plate, the ingredients and amounts were listed out in case you wanted to recreate the dish in the future, and nutritional information was available. But what I was really impressed with was that each recipe listed out kitchen tools required and potential allergens in each ingredient. This is wonderful for people with food allergies as it isn't always apparent when you're cooking something new. 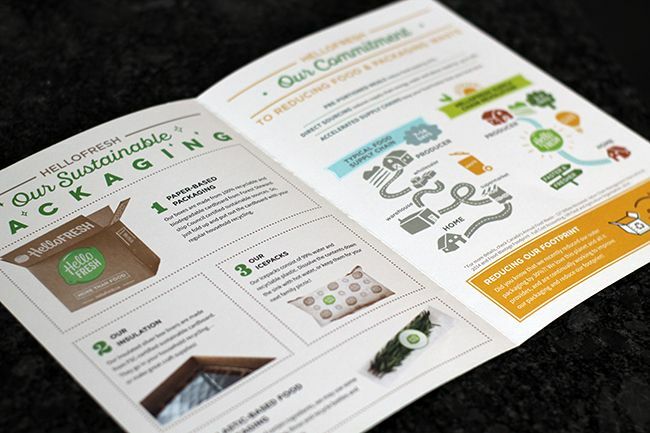 When it comes down to packaging, everything was recyclable, from the box, to insulation, to ice packs. What I appreciate about Hello Fresh is that the ice packs can actually be sent back to the company through their recycling program to be reused. It feels much better to be able to give the ice packs a second life than to open and drain them down the sink as instructed by Chefs Plate! in the Chefs Plate ingredient boxes there is no branding other than with the Chefs Plate logo, meaning that you don't know what brand of ingredients you are using, and additional packaging was used in sending the ingredients to you. With Hello Fresh, small items like broth concentrates, sour cream, vinegars and hot sauces are branded, so there's less packaging wasted. 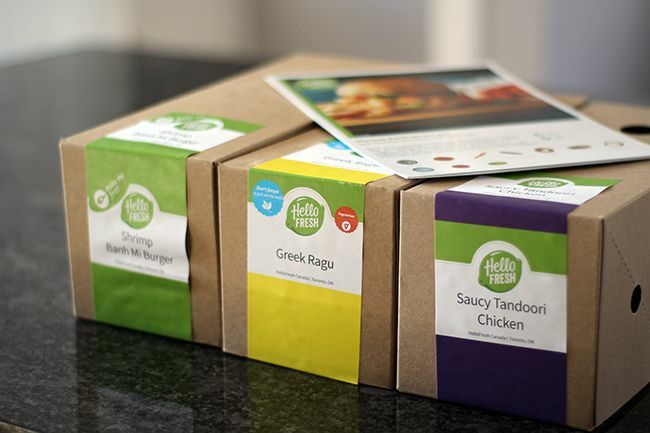 After giving the two boxes a try, I have to say I really loved the Hello Fresh experience. All of the recipes were easy to follow and the meals were on the table ready to eat in 35 minutes or less. I felt that although you were restricted to choosing from 4 recipes (Chefs Plate allows you to choose from 7 recipes), there was still a variety of different choices. 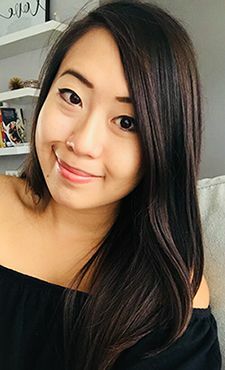 I cook a lot of Asian (Thai, Vietnamese, Korean) and Italian food at home and yet I felt that a lot of the recipes I cooked in the two week period pushed me out of my comfort zone. 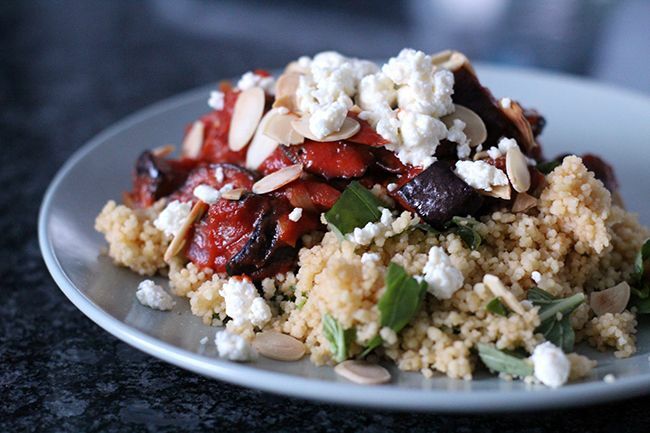 I found myself making dishes with Egyptian and Mediterranean spices, and I even followed a Tunisian recipe. I found new recipes I loved and will definitely use again in the future. A lot of people have asked me whether Chefs Plate or Hello Fresh is a better option, and I honestly enjoyed the Hello Fresh experience more. Hello Fresh is a bit more expensive ($80 per week versus $66), but I enjoyed the Hello Fresh recipes more and being able to return the ice packs for recycling is a big plus as it is important to me. If we're comparing ingredients, both companies offered very fresh, locally sourced products. When it comes to the dishes themselves, more often than not, I found myself saying 'wow' after the first bite of every recipe from Hello Fresh - something that didn't happen for me with Chefs Plate. 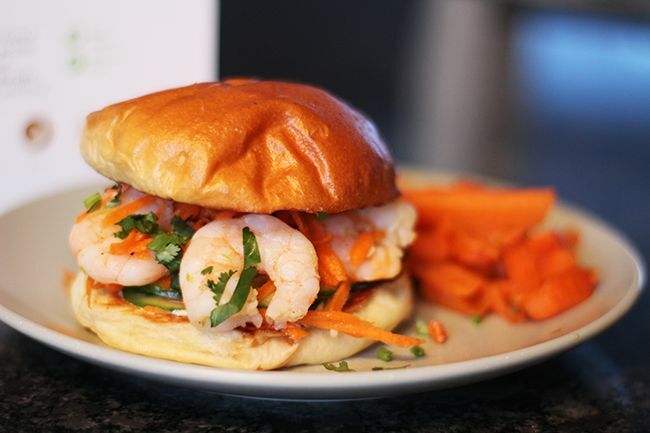 The recipes are truly delicious and you get near restaurant quality results in your own home with Hello Fresh. I also found that each recipe made enough for three portions, bringing down the cost per meal. So for me, it's a no-brainer to go with Hello Fresh for their meal delivery service, but I do encourage people to try both and compare for themselves. If you're interested in giving Hello Fresh a try, use my code ANDREA50 for 50% off your first box and let me know what you think! *Disclosure: I was sent two Pronto boxes from Hello Fresh for review. Views expressed in this post are solely mine. This post is 100% my opinion, and as always, my priority is to you, the reader, to present an unbiased, thorough review. I've been actually wanting to try something like this! Might have to try it out using your code!